‘Food intolerance’ is a term used widely to describe a variety of reactions that some people have after eating or drinking certain foods. Unlike a food allergy, food intolerance is not caused by the immune system reacting to the food. Food allergy and food intolerance are commonly confused as some of the symptoms and trigger foods can be similar. Children may be intolerant to certain compounds found in a variety of food and drinks. Common intolerance-causing foods (‘trigger’ foods) include milk and other dairy products, chocolate, food additives (including monosodium glutamate or MSG), strawberries, citrus fruit, tomatoes, egg, nuts, fish, wheat and soy. Intolerance reactions are usually dose dependant, which means the reaction can get worse the more food or drink consumed. Because of this, some children may be able to cope with small amounts of the foods they have an intolerance to. Intolerance reactions are generally less severe than allergic reactions and are unlikely to be life threatening. However, intolerance symptoms may still cause discomfort. Common symptoms of food intolerance include stomach or bowel problems (such as reflux, colic, vomiting, diarrhoea, bloating, irritability), disturbed sleep, heartburn, skin rashes, eczema and hives. Food intolerance may also be associated with conditions like asthma, chronic fatigue syndrome and irritable bowel syndrome. Symptoms of food intolerance are also often delayed and may occur several hours (up to 48 hours) after consuming the trigger food. To manage food intolerance in your early childhood service, ensure that parents have documented in writing any foods that their child can and cannot tolerate, as well as any symptoms to watch out for and appropriate action to take if an intolerance reaction does occur (if required). Some foods that children may have an intolerance to can contribute important nutrients for their growth and development. Avoiding these foods without good reason is not recommended so it should be confirmed in writing by the child’s treating team (which may include a GP, paediatrician, allergist and/or dietitian) if they are required to avoid particular foods. Some molecules found in foods are poorly absorbed by some children as well as adults. The term FODMAPs is an abbreviation that describes some of these molecules which can result in intolerance symptoms. Polyols (e.g. sorbitol, mannitol, maltitol, xylitol and isomalt). Some children have trouble digesting more than one of these molecules (e.g. fructose and lactose). Other children may find that their symptoms decrease when they decrease how often they have these foods or how much they have at once. Usually these foods do not have to be eliminated completely. Symptoms of FODMAP malabsorption include bloating, gas, abdominal pain, diarrhoea or even constipation. Common sources of FODMAPs are listed in the table below. Note: This is a general list of food compounds which can cause food intolerances. Please refer to www.monashfodmap.com for further information. This Monash University website also includes a low FODMAP diet booklet for purchase and a low FODMAP diet app for iPhone and Android phones. Lactose intolerance occurs when a person is unable to digest lactose, the carbohydrate found in cow’s milk and other cow’s milk products such as yoghurt. Symptoms of lactose intolerance include bloating, gas, abdominal pain and diarrhoea. Lactose intolerance can be temporary and some children may grow out it. Children who are intolerant to lactose can usually tolerate small amounts of lactose, but large amounts (as found in milk and yoghurt) will usually cause symptoms. It is advisable for these children to avoid large amounts of cow’s milk and yoghurt and to use lactose-free milk and yoghurt (or soy milk and yoghurt) instead. Regular hard cheese (such as cheddar and parmesan) has almost no lactose and should be tolerated by most people with lactose intolerance. Similarly, small amounts of milk in products like margarine and baked items is generally well tolerated. Fructose is the carbohydrate, or sugar, found in fruit. It is found in excessive amounts in some fruits and a variety of vegetables (see table above). 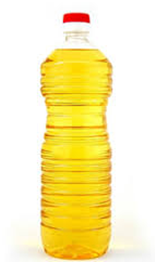 Children with fructose intolerance can suffer diarrhoea, wind, bloating and abdominal pain. People with fructose malabsorption do not need to avoid all fruit. Rather they should reduce intake of the fruit that triggers their symptoms, and replace it with fruit that they tolerate better. Fructose tolerance is very unique to the individual. Parents should be guided by their health professional and provide childcare centres with written guidelines about which fruit their child can and cannot tolerate. Fruit is an important part of a child’s diet and should not be avoided except under health professional guidance. 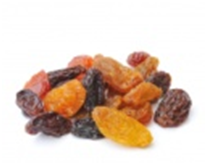 Sorbitol is also found in excessive amounts in fruit (especially apricots, nectarines, plums, blackberries, apples and pears) and sugar free gums and lollies. It can cause similar symptoms to fructose malabsorption. These foods do not need to be completely avoided but may need to be reduced by children who suffer from sorbitol malabsorption. Fructans and galactans are carbohydrates that are malabsorbed by all people to some extent. However, children can tolerate different levels of these molecules and some children will experience symptoms when eating amounts that are well tolerated by others. Fructans and galactans are found in foods such as onion, garlic, leek, large amounts of wheat and legumes (e.g. baked beans, lentils, chickpeas). Like the other poorly absorbed carbohydrates, these foods do not need to be completely removed from the diet (although onion, garlic and legumes can be particularly problematic). If a child is required to reduce their wheat consumption, this doesn’t necessarily apply to all wheat. It mostly relates to foods where wheat is a main ingredient, such as bread, pasta, baked items. Small amounts of wheat are usually well tolerated, for example wheat in crumbed foods, or as a thickener in sauces. Some food intolerance symptoms are associated with food additives (colours, preservatives, antioxidants and flavour enhancers) and natural food chemicals. These symptoms can include headaches, hyperactive behaviour, mood swings, anxiety, depression, panic attacks, difficulty concentrating, fatigue, learning difficulties, toileting challenges and joint pain among others. Artificial colours are commonly found in processed foods such as sweets, drinks, cereals and more. Examples include tartrazine (102), quinoline yellow (104), sunset yellow (110), azorubine (122), amaranth (123), ponceau red (124), erythrosine (127), allura red (129), indigotine (132), brilliant blue (133), green S (142), fast green FCF (143), brilliant black (151), chocolate brown (155). Annatto (160b) is a natural colour found in yoghurt, ice cream and popcorn. Beta-carotene (160a) is a safe alternative. Sorbates (200–203): found in margarine, dips, cakes, fruit products. Benzoates (210–213): found in juices, soft drinks, cordials, syrups, medications. Sulphites (220–228): found in dried fruit, fruit drinks, sausages and many other products. Propionates including cultured whey/dextrose (280–283): found in bread, crumpets, bakery products. Nitrates, nitrites (249–252): found in processed meats like ham. 319–320 TBHQ, BHA, BHT (306–309 are safe alternatives). MSG, hydrolysed vegetable protein, yeast extract (621). Disodium inosinate, disodium guanylate, ribonucleotides (627, 631, 635). Some naturally occurring food chemicals are found in many otherwise healthy fruit and vegetables. As a result, these foods should only be avoided in consultation with a health professional. Early childhood services should request that parents provide written confirmation from a health professional if avoidance of these foods is required. Salicylates are naturally occurring food compounds found in brightly-coloured fruit and vegetables, spices, sauces, nuts, corn and corn products, mint, honey and jams. Foods high in salicylates include strawberries, kiwifruit, avocados, sultanas and other dried fruits, citrus, pineapple, broccoli, tomato based pizza toppings, tomato sauce, olive oil and fruit juice. Salicylate sensitivity can also be triggered or worsened by aspirin and salicylate-containing teething gel. Amines are substances that occur naturally in foods as they age. They are found in preserved meats (e.g. ham), tasty cheese, yoghurt, chocolate, canned fish and other foods. Glutamates occur naturally in strong smelling and strong tasting foods like tasty cheese, soy sauce, yeast extract, hydrolysed vegetable protein and many commercial stocks, sauces, gravies and seasonings. Some fruit and vegetables also contain glutamates. Monosodium glutamate (MSG) is a common glutamate, but other glutamates are used in many foods that are labelled 'No MSG'. References: Food Intolerance Network, Sue Dengate, http://fedup.com.au/ accessed 28 August 2013. The Monash University Low Fodmap diet, edition 3, www.monashfodmap.com accessed February 2014.